Santo Varni, 1887 (Lugt undescribed); János Scholz, New York (Lugt undescribed); Helene C. Seiferheld, New York, 1962; William B. O'Neal [1907-1994], Charlottesville, VA, March 1962; gift to NGA, 1991. Faculty Collections, University of Virginia Museum of Fine Arts, Charlottesville, October 1962 (as Bernardo Strozzi). 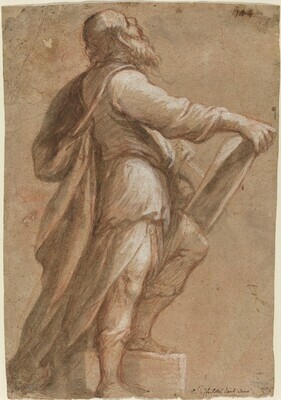 Master Drawings from the O'Neal Collection, Virginia Museum of Fine Arts, Richmond and tour, 1971-1972 (as Bernardo Strozzi). Drawings from the O'Neal Collection. Exh. cat. National Gallery of Art, Washington, 1993, 7.